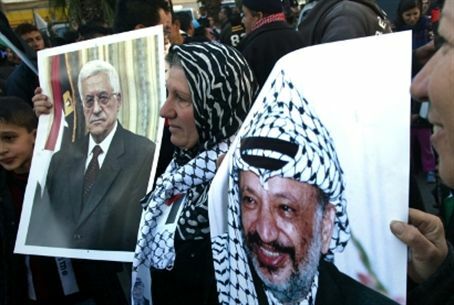 Hamas Reveals: Nobel Peace Prize Laureate Arafat, Abbas’s predecessor as Fatah head, gave a green light to Hamas for the “Second Intifada” in 2000. Nobel Peace Prize Laureate Yasser Arafat, predecessor to Palestinian Authority Chairman Mahmoud Abbas as head of Fatah, gave the green light to Hamas for the so-called “Second Intifada,” actually a terror war of unprecedented magnitude that began in 2000, the terrorist organization admitted. Mahmoud al-Zahar, Hamas foreign policy advisor and perhaps its most senior member after de facto Gaza Prime Minister Ismail Haniyeh, made the revelation during a special meeting in Gaza marking the 10th anniversary of what also is known sarcastically as the Oslo War in an allusion to the Oslo Peace Accords that preceded it. Over a thousand Israeli civilians were murdered, including many defenseless,unsuspecting elderly people, women and children, in the ensuing terrorist tidal wave. It was the first time Hamas has stated that Arafat, who like his successor was championed by the American government as Israel’s “peace partner,” gave instructions to Hamas to break two years of relative quiet and launch what evolved into a decade of suicide bombings and deadly rocket attacks. Haniyeh also spoke at the meeting, but foreign news services reported only his praise of the intifada while totally omitting any reference to al-Zahar’s statement on Arafat’s coalition with Hamas terrorists. Haniyeh lauded the Arab violence, known by the code word ”resistance", and said that one of its achievements was the expulsion of Jews and the withdrawal of all IDF forces from Gaza five years ago. "The intifada restored the dignity of the Palestinian people and brought them closer to victory and liberation," he said during a special meeting of his government. "Our people will not hand over their weapons nor stop the resistance because it is our legitimate right as long as there is an occupation," he added. Haniyeh’s speech coincides with reports from Arab media that Fatah and Hamas are close to breaching the gaps that broke up their unity government three years ago when Hamas terror forces overpowered their Fatah counterparts in Gaza. Islamic Jihad boasted of its part in the Oslo War, claiming it has fired 3,205 rockets and mortar shells at Israeli civilians and soldiers and has carried out 126 suicide attacks or attempts, including suicide bombings.